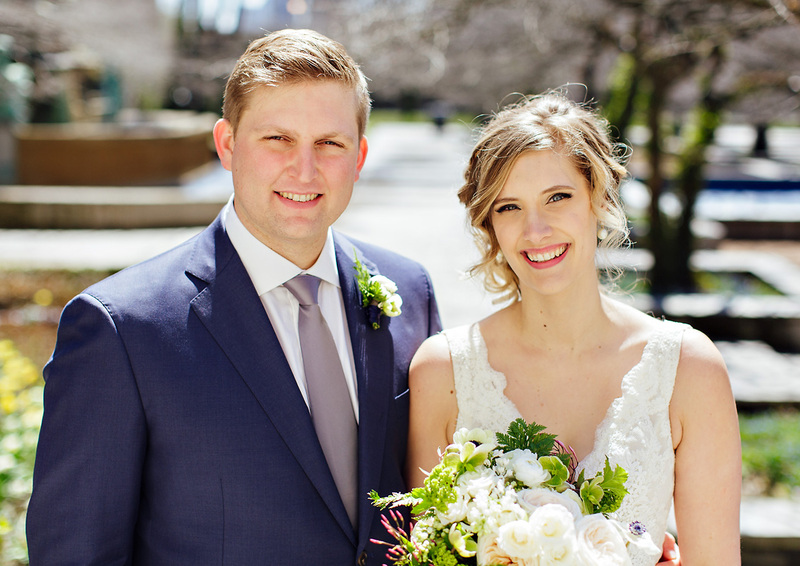 What an incredible start to wedding season! 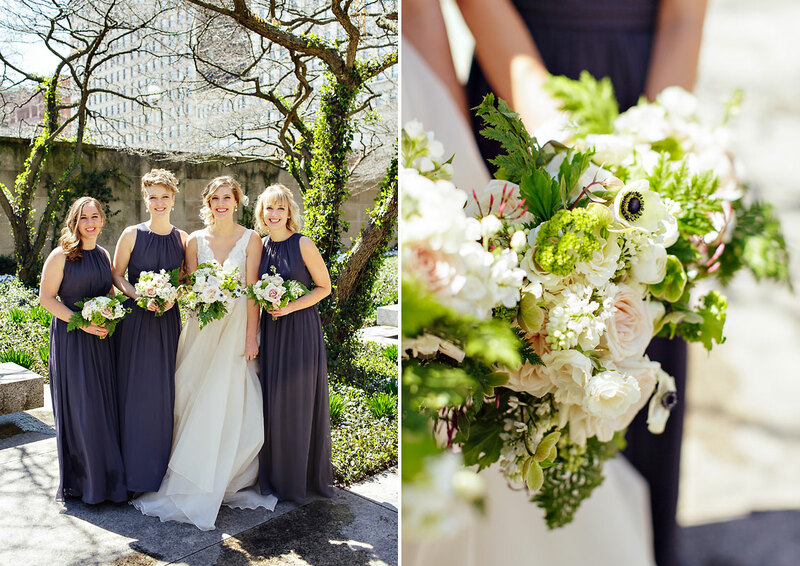 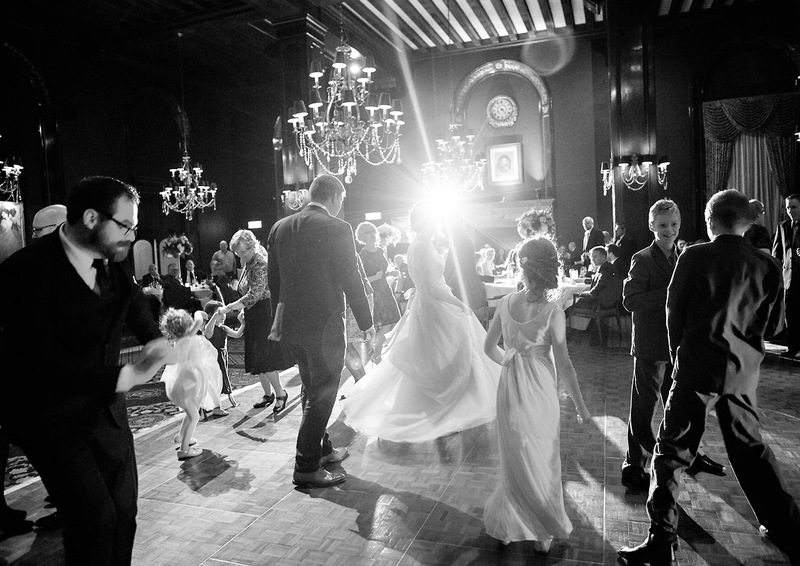 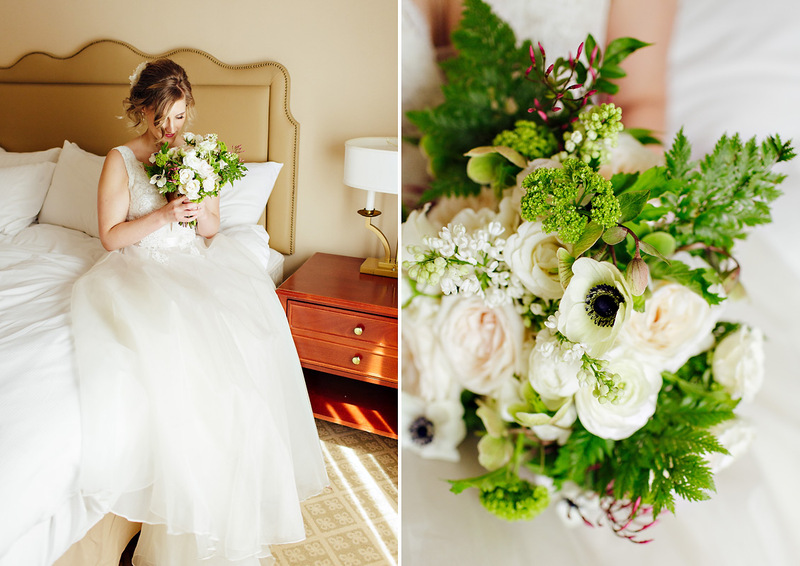 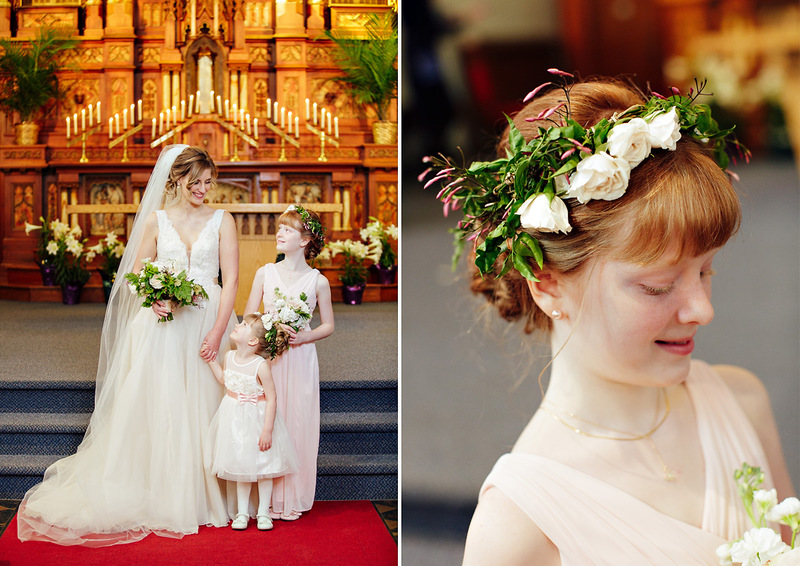 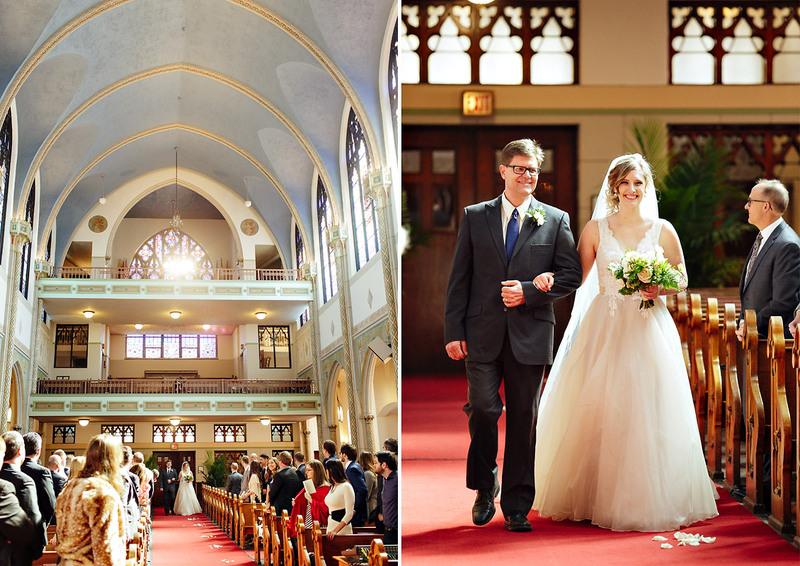 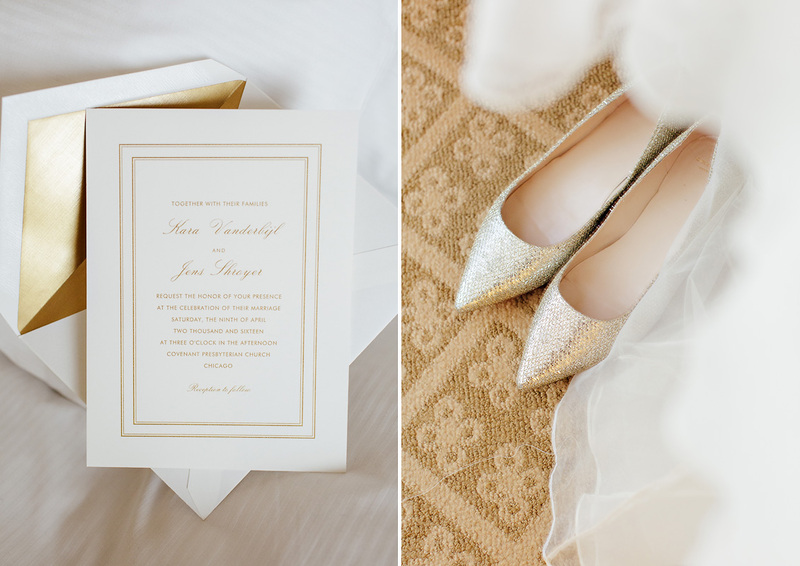 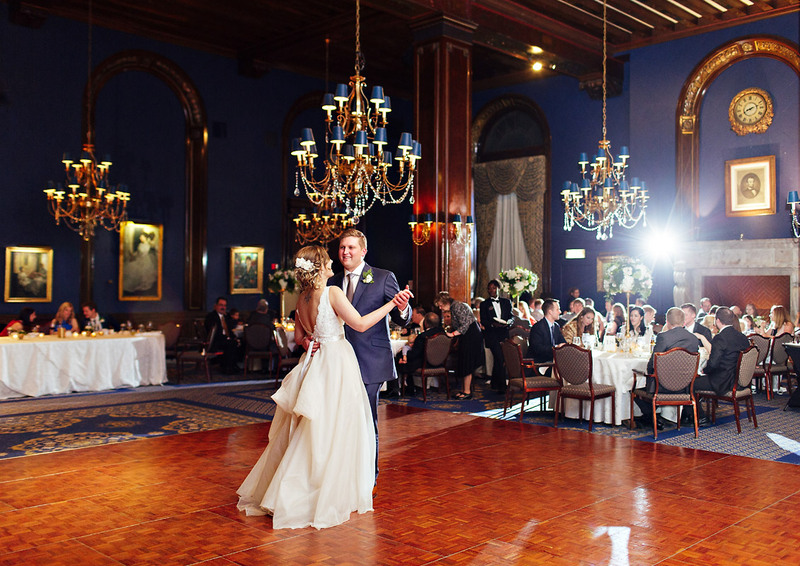 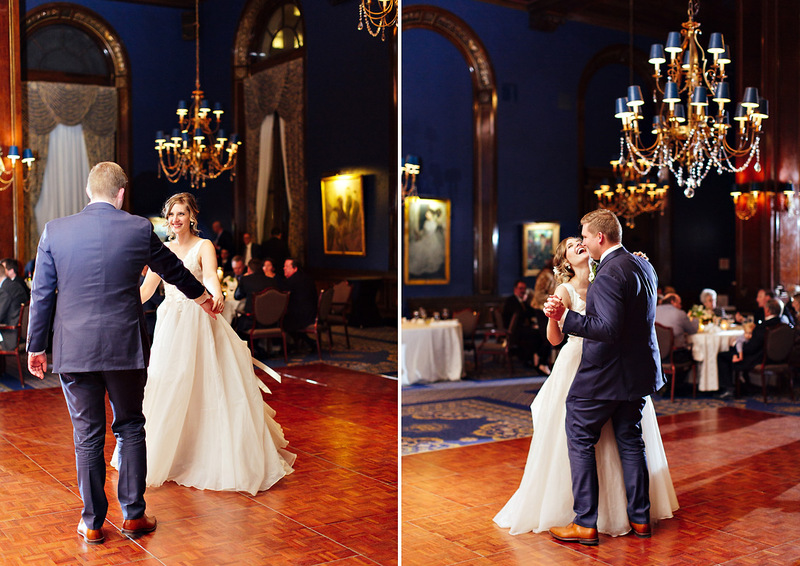 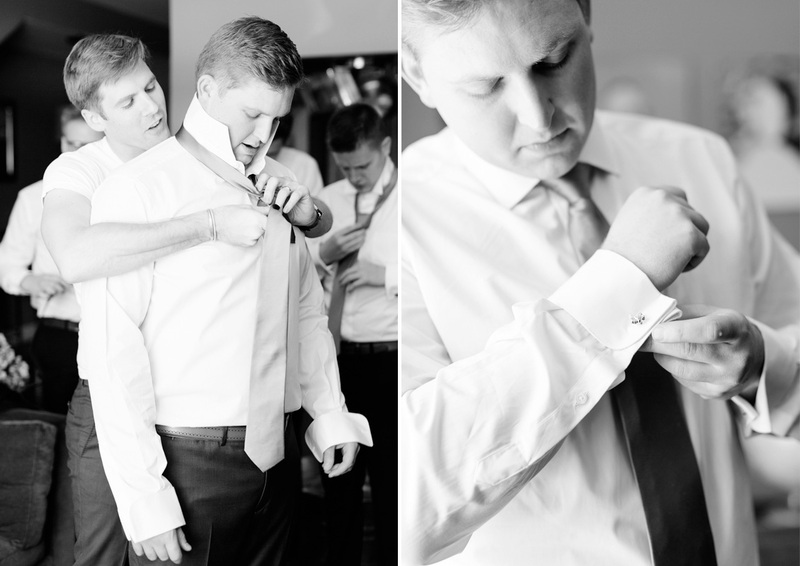 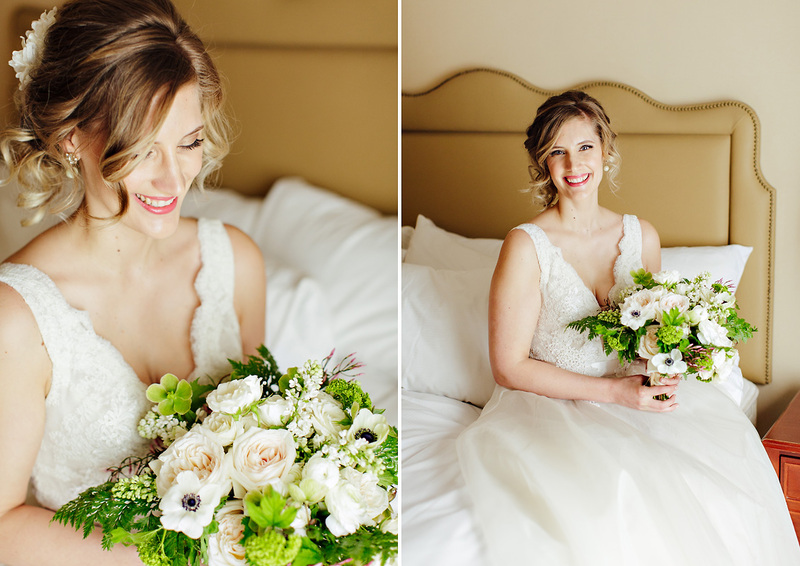 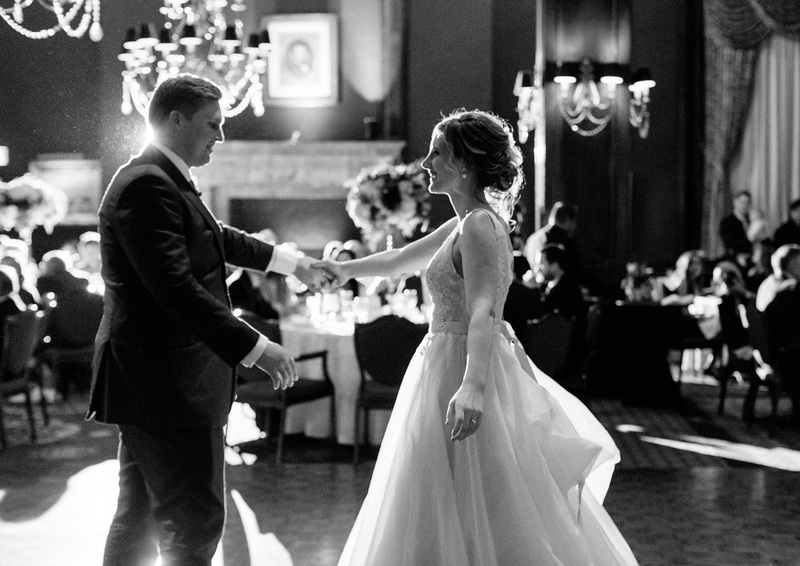 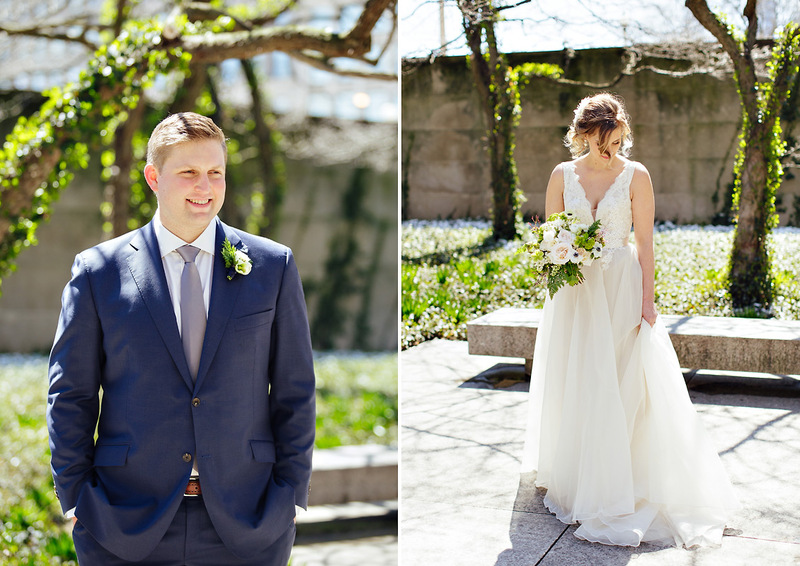 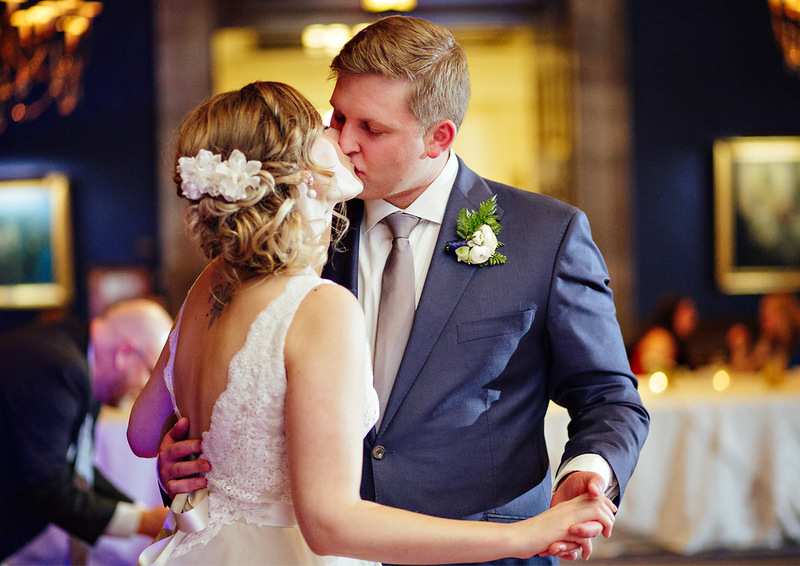 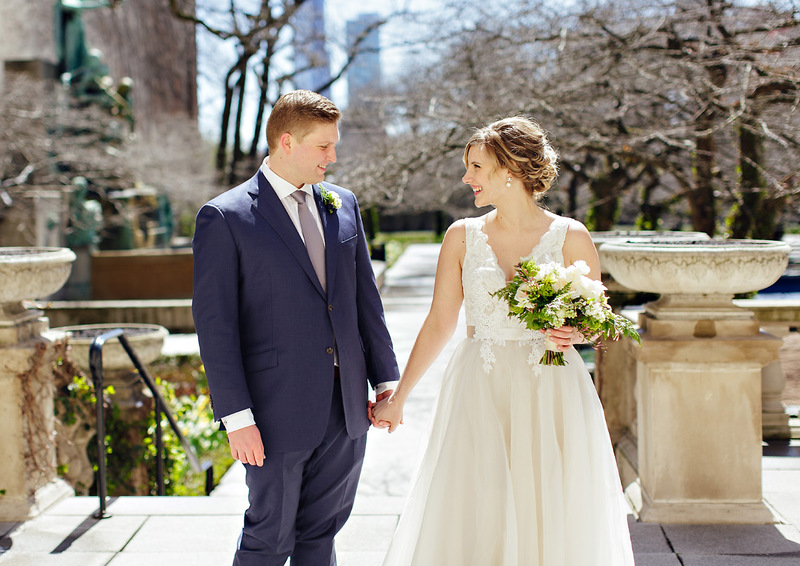 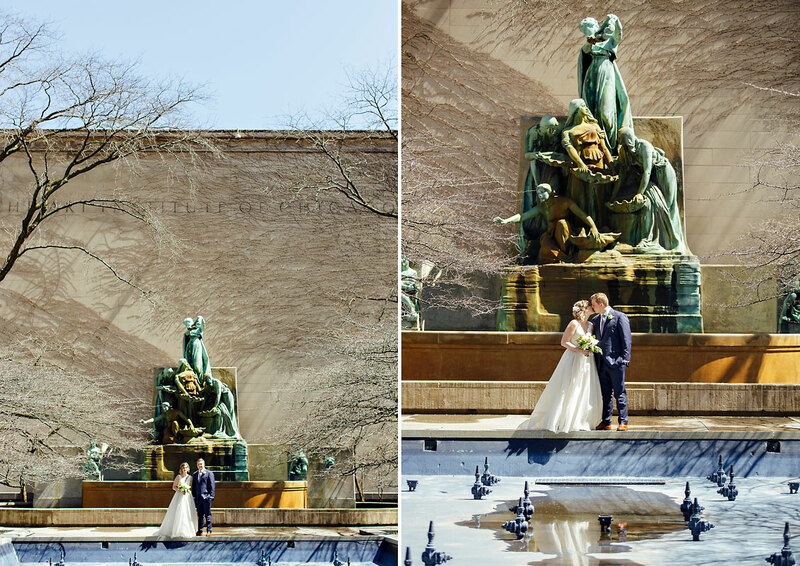 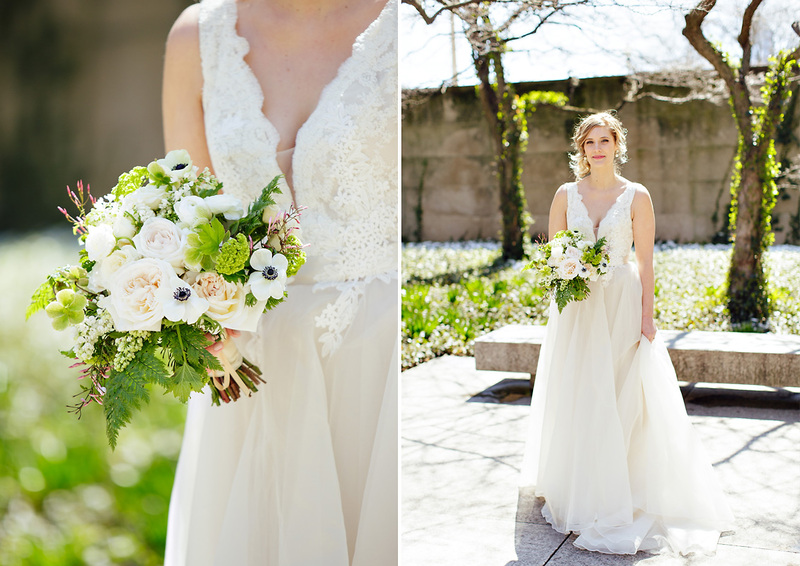 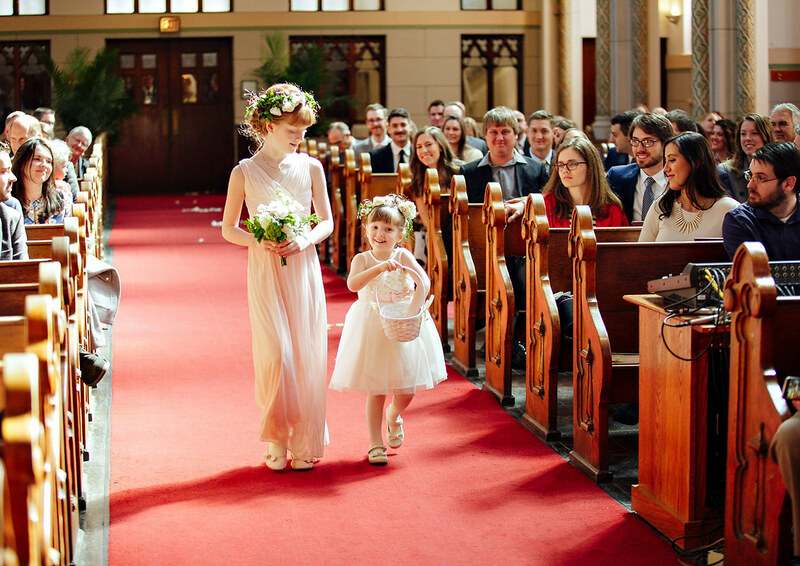 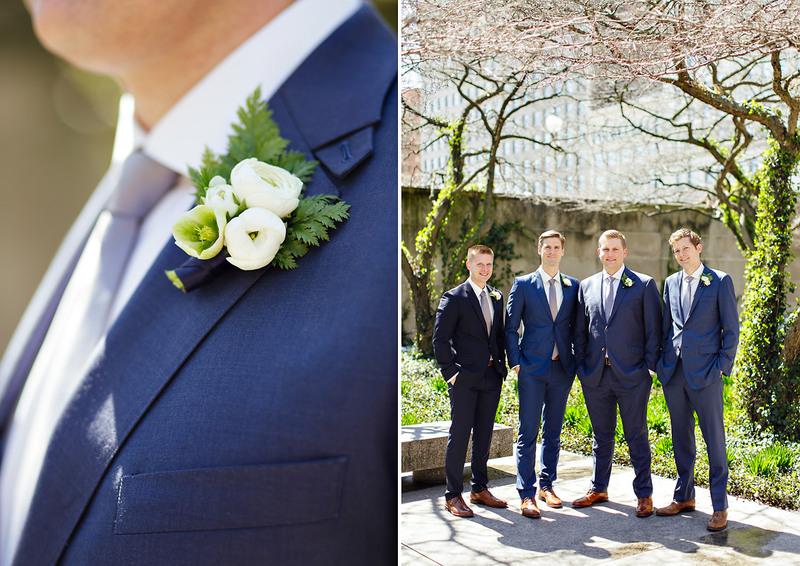 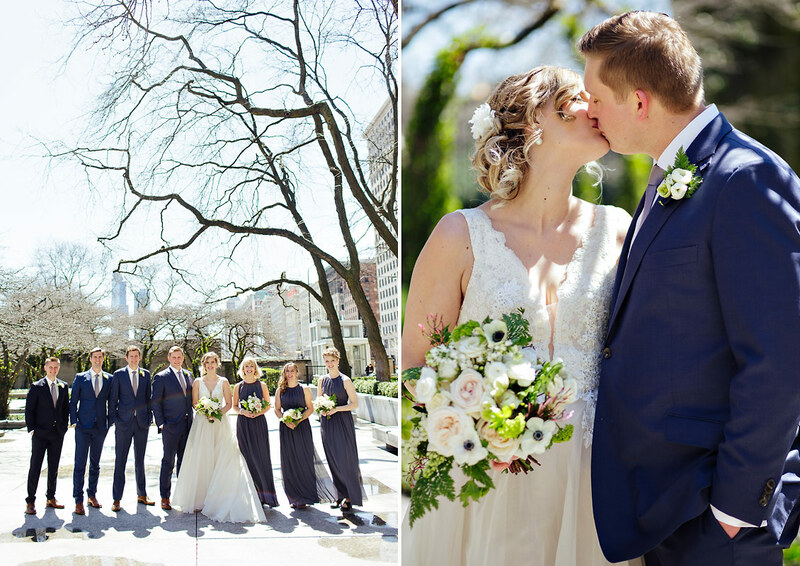 Kara and Jens were blessed with the brightest, sunniest, Chicago spring day. 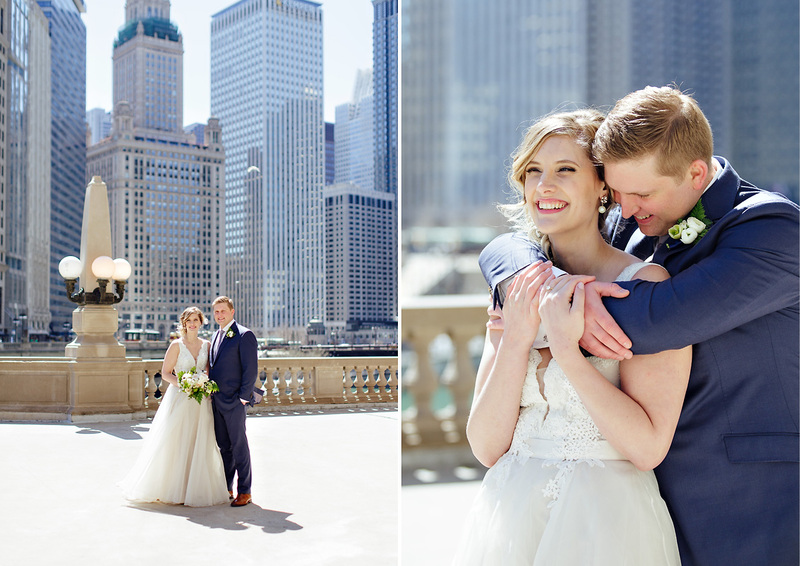 Of course, in true Chicago fashion, it was really only about 35 degrees and windy. 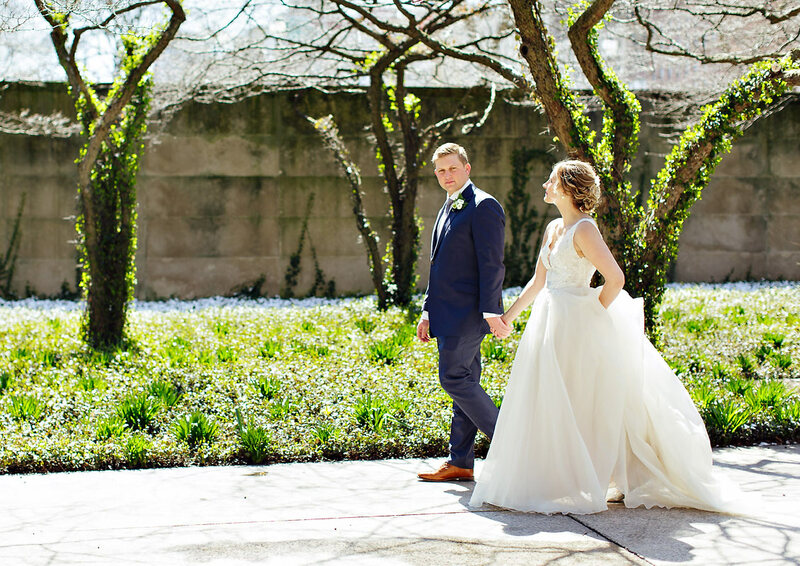 Hopefully you can’t tell! 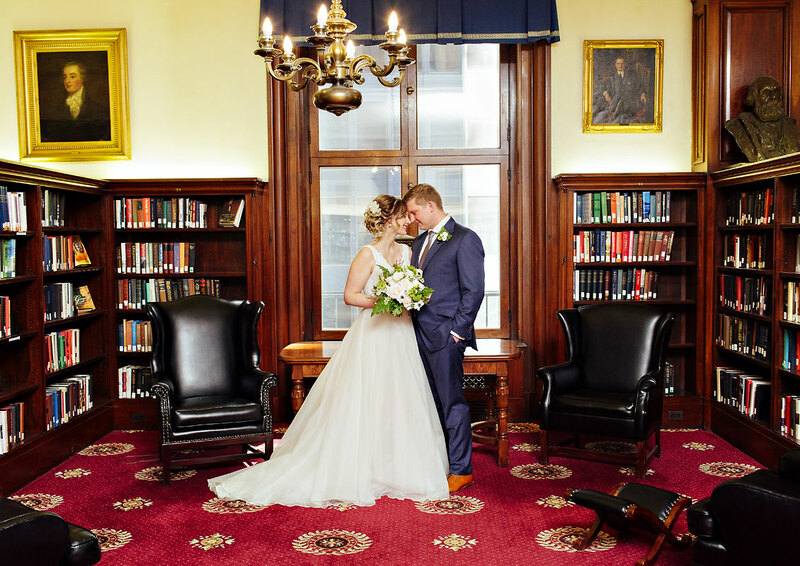 Kara is currently writing her first novel, so I thought it was fitting that their first look took place in the library of the Union League Club surrounded by books. 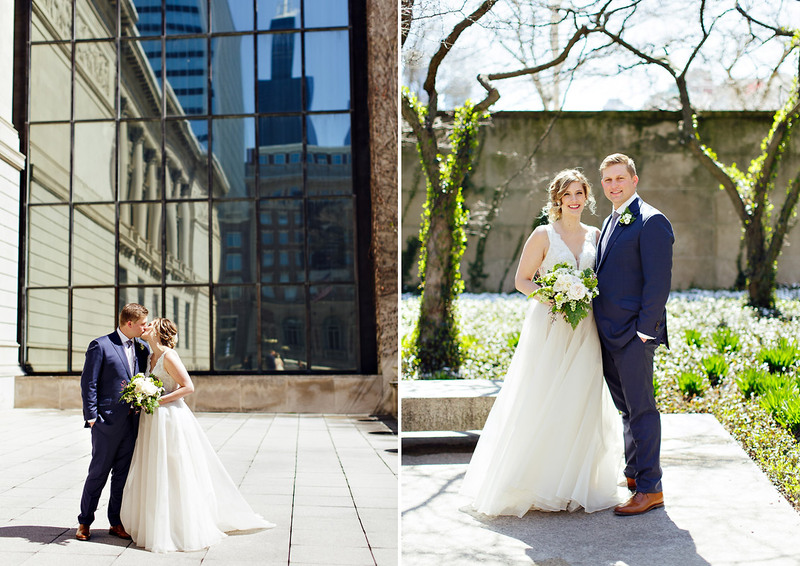 When I met Kara and Jens to discuss their vision for their wedding, they told me they were especially looking for documentary photos that captured beautiful moments between them, as well as photos that incorporated the classic architectural aspects of Chicago and their venue. 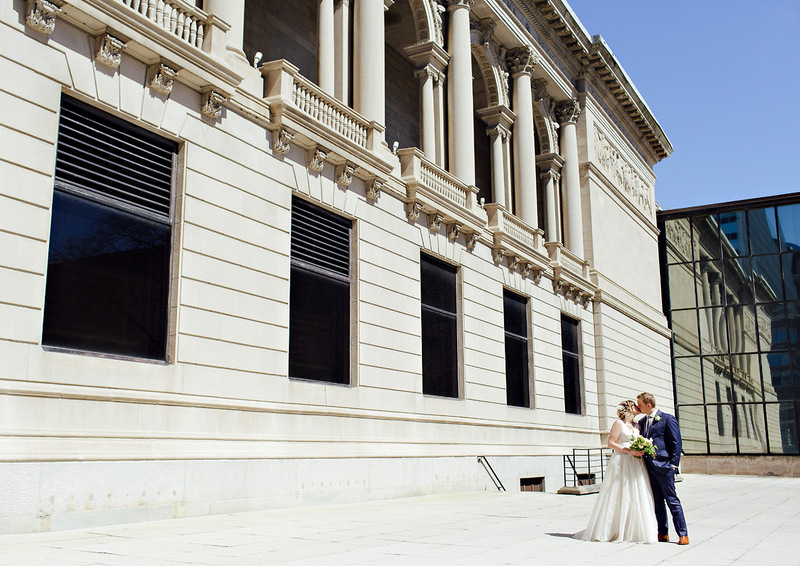 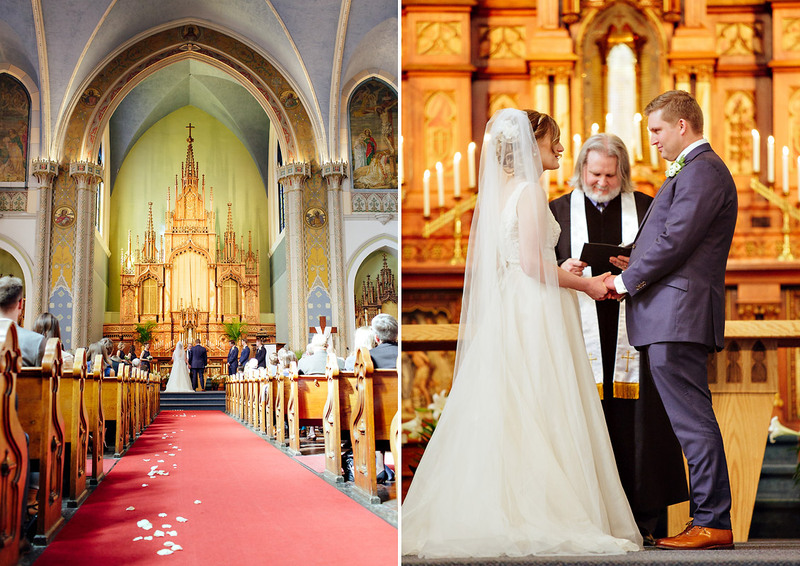 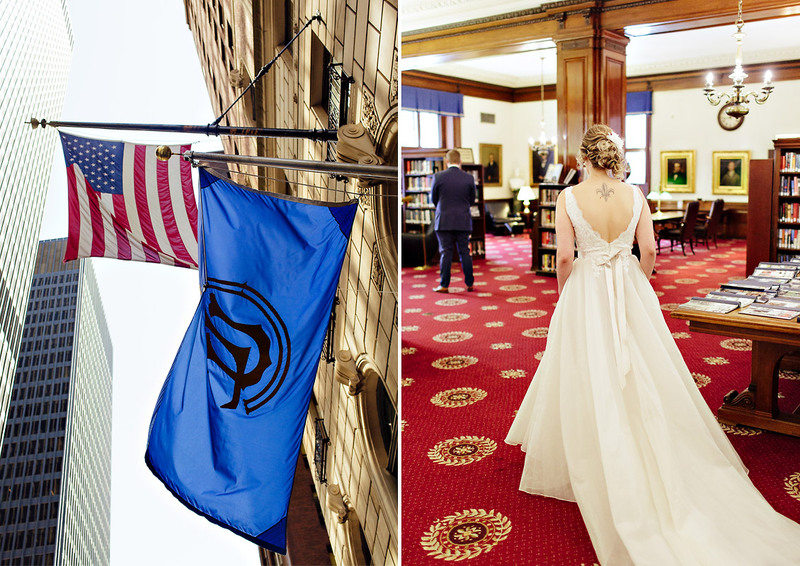 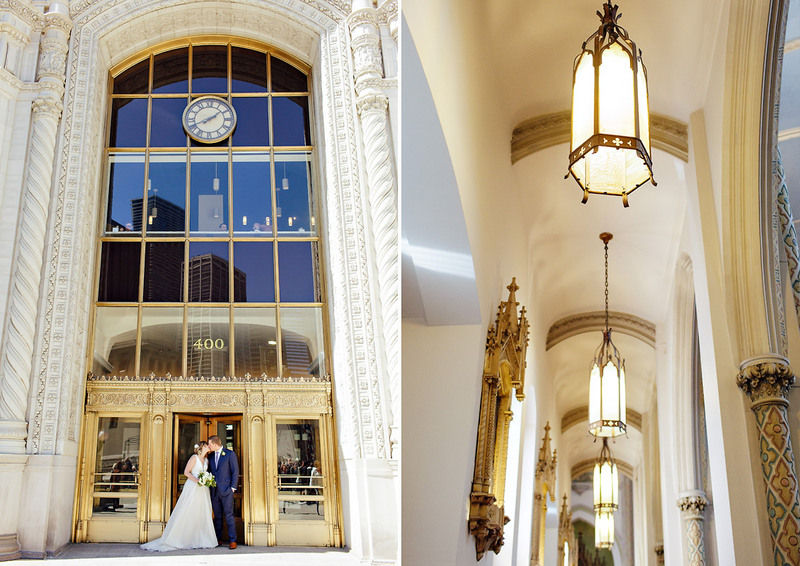 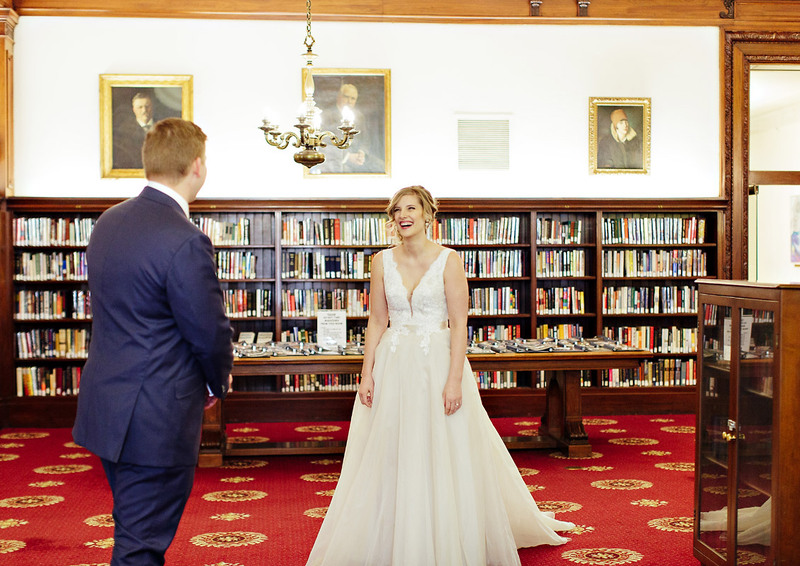 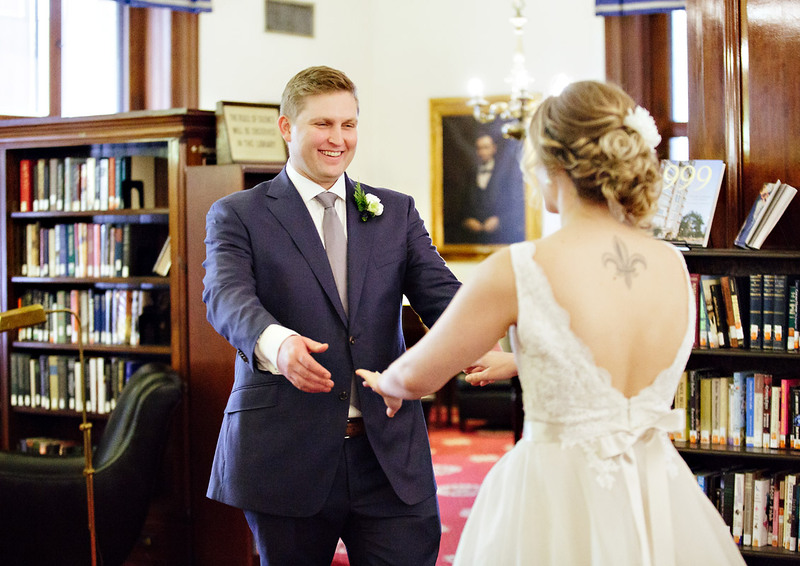 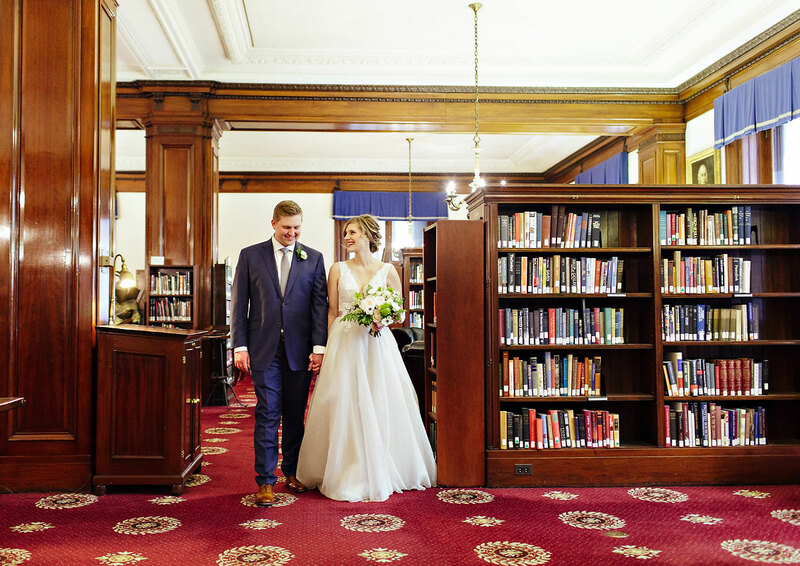 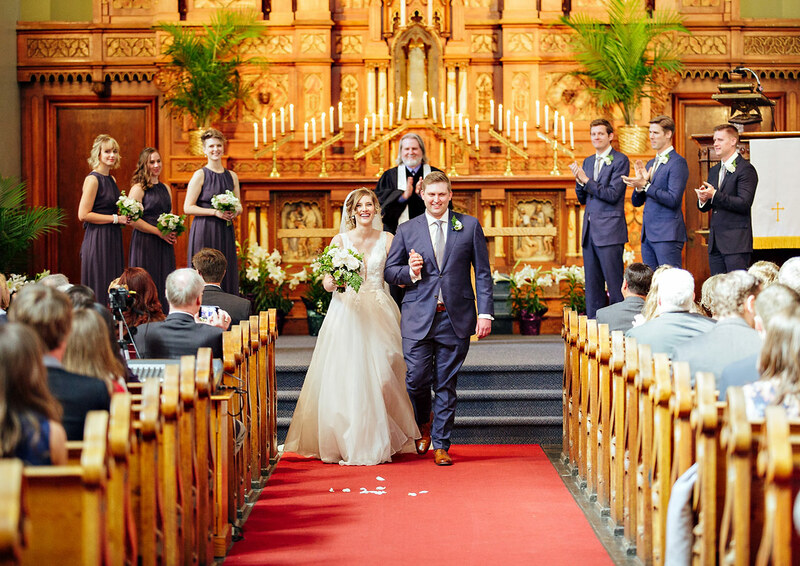 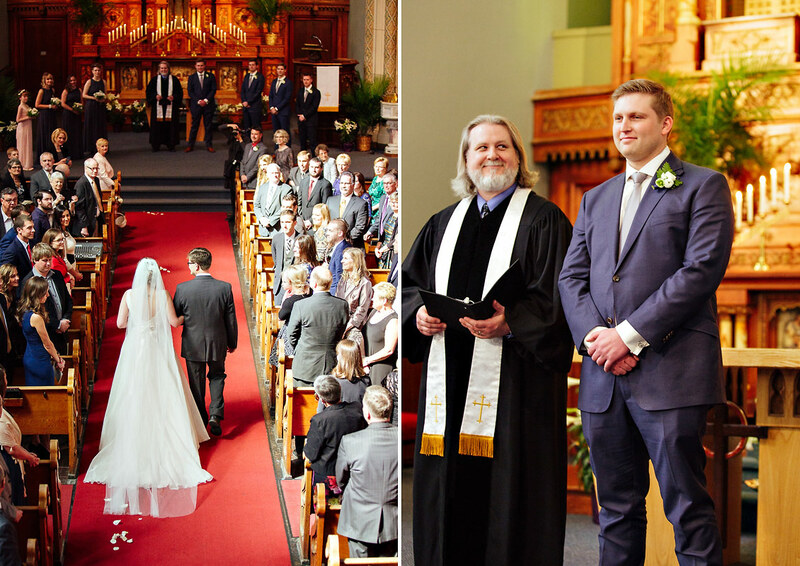 We made stops for wedding photos at The Art Institute of Chicago, the Wrigley Building on Michigan Avenue, and I was blown away by the beauty of Covenant Presbyterian, where their ceremony took place. 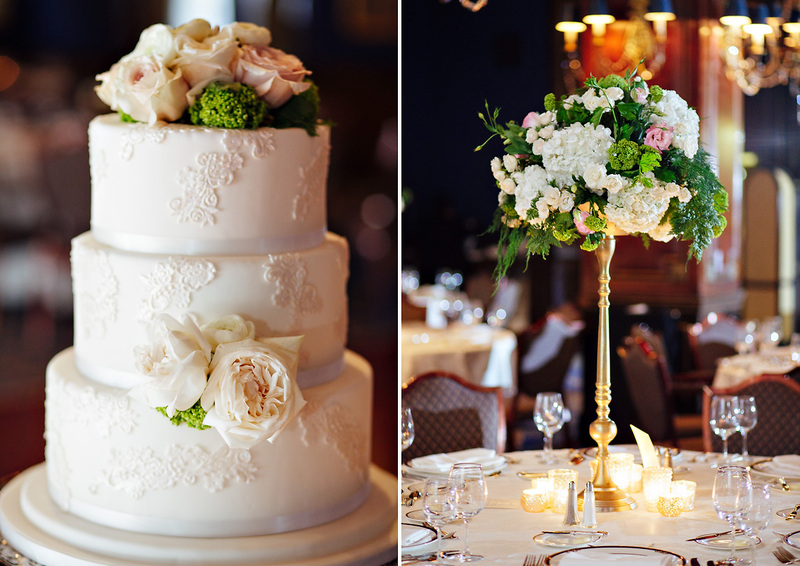 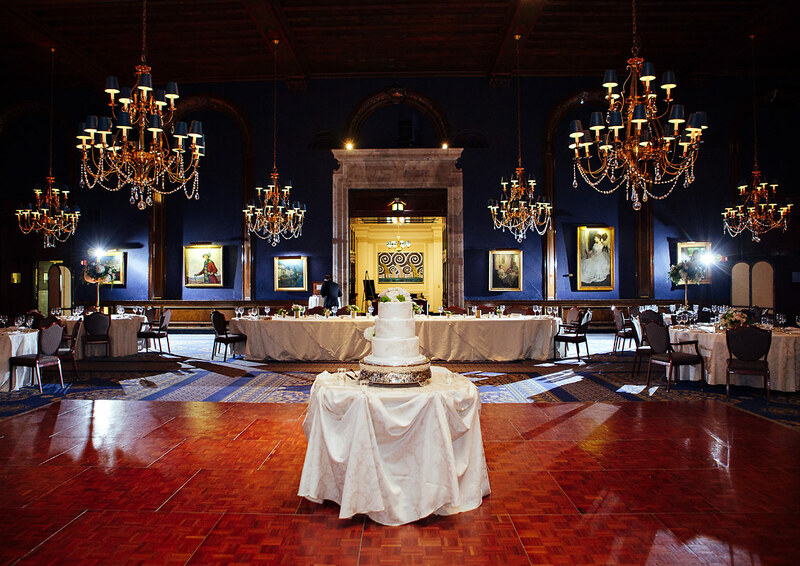 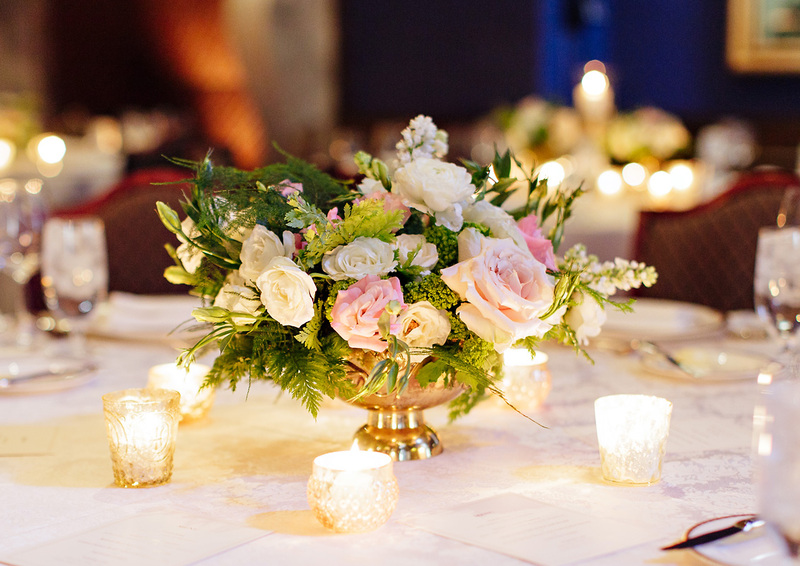 Of course, the Union League Club of Chicago did not disappoint when I saw the ballroom decked out with the incomparable floral work of Fleur. 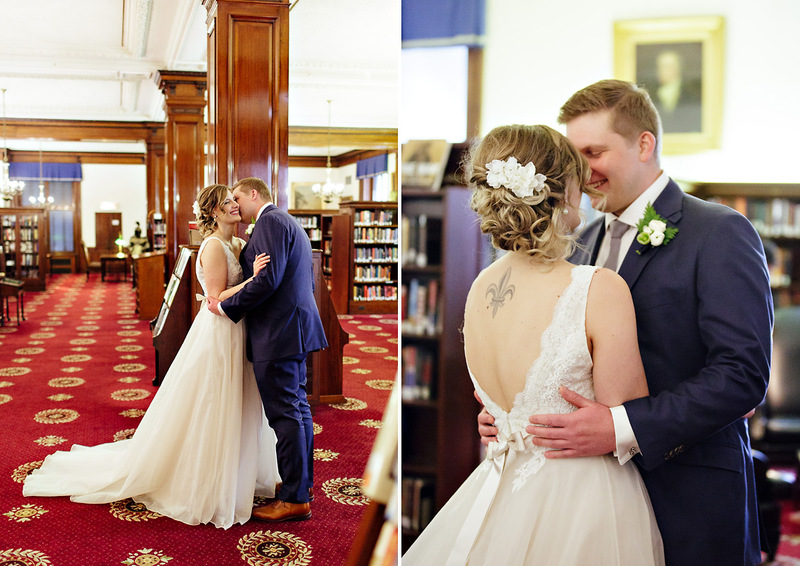 Some of my favorite photos of their day were taken during the first dance, but really, I had the hardest time narrowing down favorites as I love them all!